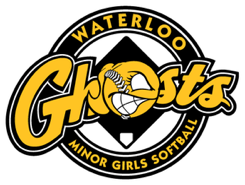 Waterloo Ghosts Midget team captures 2013 Eastern Canadian title! 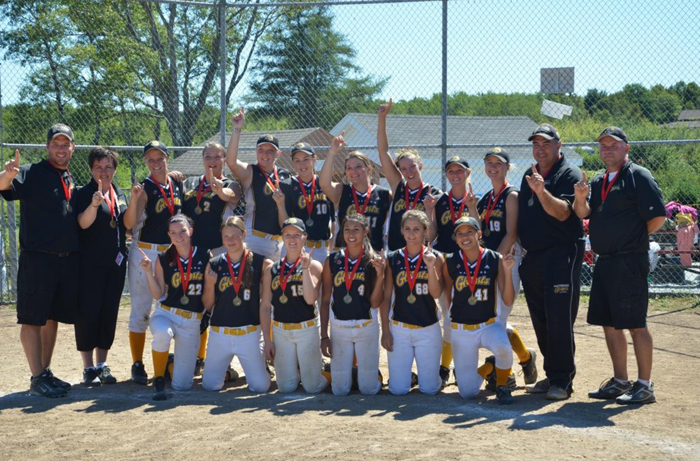 Our girls represented the WMGSA, Waterloo and Ontario well last week at the Eastern Canadian Championships in Mount Uniacke, Nova Scotia going undefeated in 7 games to win the Gold medal! 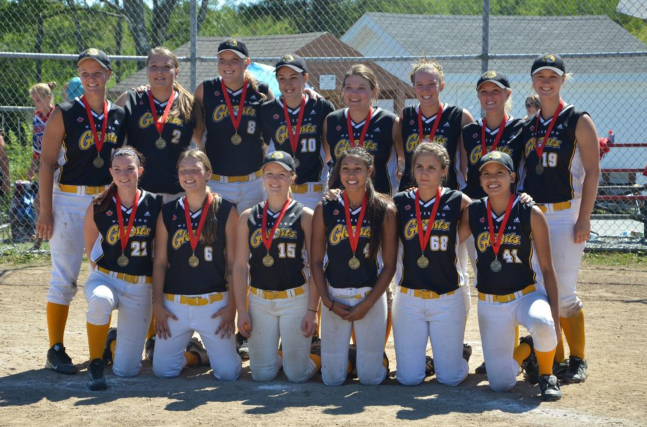 The Ghosts advanced to the finals after beating the Aurora Diggers of Ontario by a score of 8 - 0 in the semis to face the London Lightning in the gold medal game. In the championship contest the Ghosts broke out to a quick lead against the Lightning and never looked back, winning the game 11 - 2.
of the tournament after receiving four Player of the Game awards and recording a perfect game against the Cole Harbour Comets of Nova Scotia. This was the second consecutive Eastern Canadian Championship win for three players. Gammie won gold with the Waterloo Ghosts Bantam U16 team last year, and captured the MVP award as well. for the Stratford Optimist Flames, who captured the Canadian Tier II Midget girls fastball championship in Montreal. Black was the winning pitcher in the gold medal game, winning the championship MVP award.